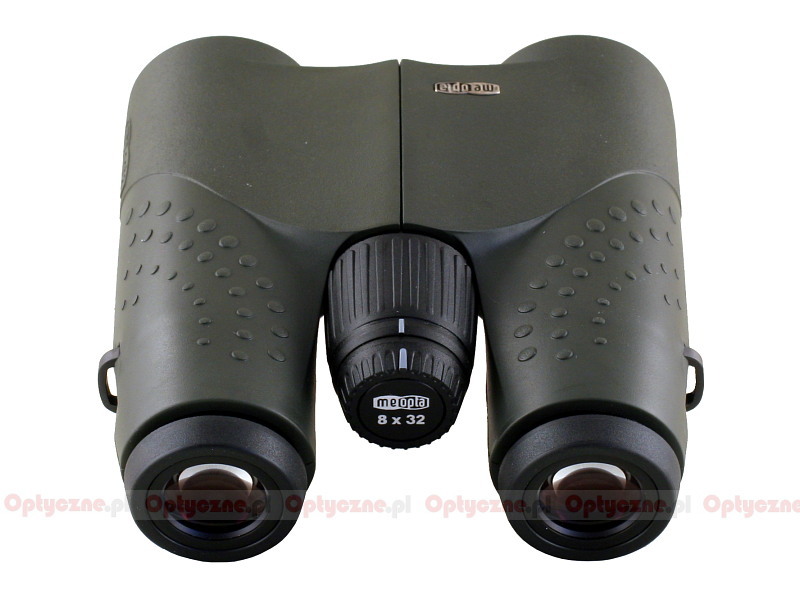 Meopta Meostar B1 8x32 - binoculars review - AllBinos.com . The B1 Meostar series, produced by Czech Meopta, was launched in 2005. Since that time the company has enlarged its line-up successively. Currently we can choose from models with the following parameters: 8×32, 10×32, 7×42, 8×42, 10×42, 7×50, 10×50, 12×50 and 8×56. 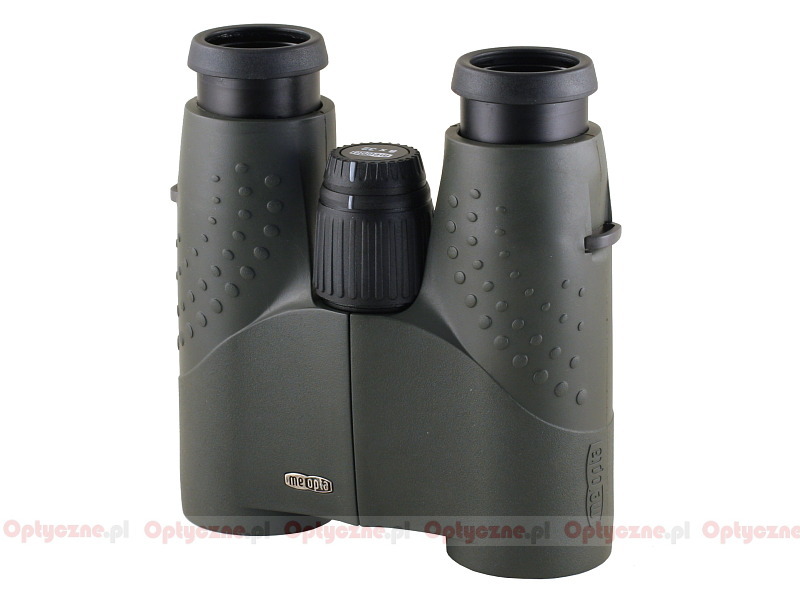 These binoculars are constructed in the roof-prism Schmidt-Pechan system. The prisms are made of BaK-4 glass, with special Meobright coatings and phase-correction coated. 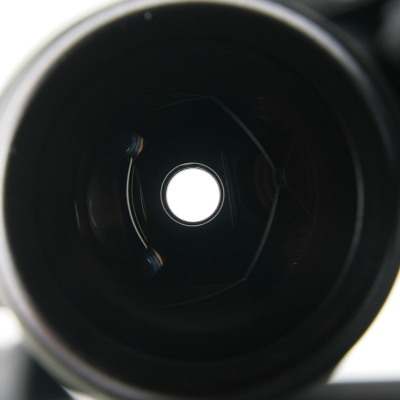 The producer states that the objectives are composed of 4 elements and there’s still a focusing lens behind them. The eyepieces are made of 4 elements as well. The casing is made of aluminum and armoured by high quality rubber. The binoculars are waterproof and nitrogen-filled. 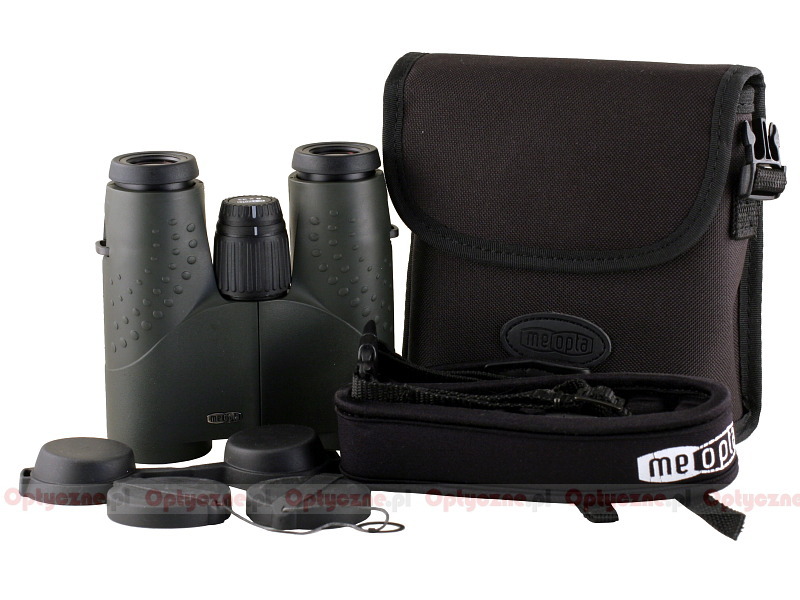 The buyer gets a joined eyepieces cap, separate caps for objectives, a comfortable neck strap and a case included in box. 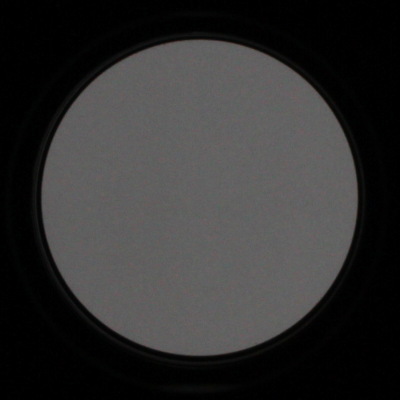 Apparent field of view of 62.8 degrees. too weak colour fidelity for this price segment. We deal here with undoubtedly an interesting instrument. The Meopta has really many major advantages. 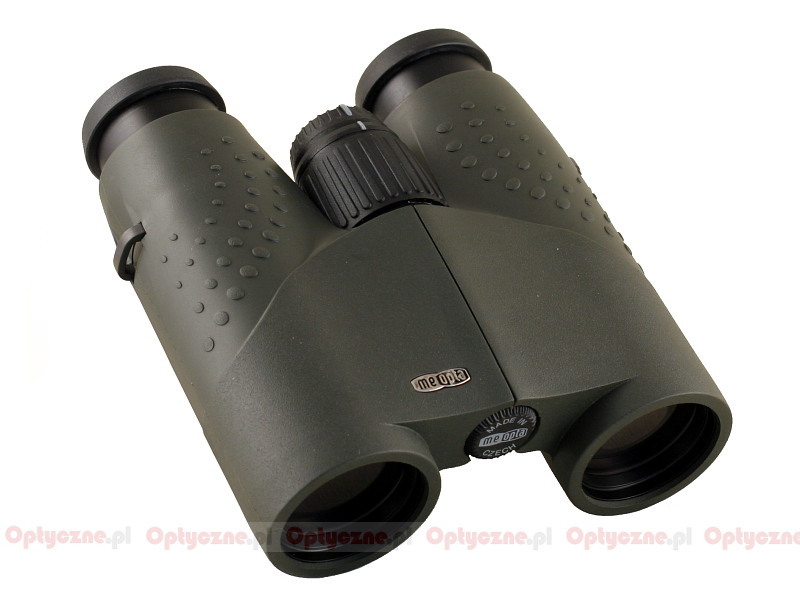 Dimension- wise it is one of smaller 8x32 class binoculars and it is already an important good point in itself. 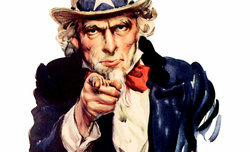 What’s more, the field of view’s size doesn’t lag behind the most serious competitors. When we add low coma, slight astigmatism, good prisms which don’t truncate pupils and don’t cause brightness loss at the edge of the field of view, good build quality and meticulous care in blackening inside the inner tubes, we get a device certainly worth our attention. Unfortunately there were some slip-ups too. Let’s start with the transmission graph. 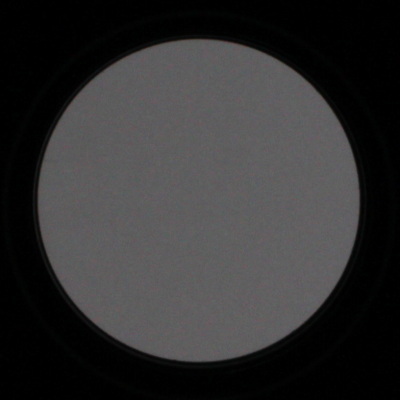 The maximum transmission is good because it amounts to almost 94% and for a set of binoculars with Schmidt-Pechan prisms it is a result which can gain recognition. Regrettably the Meopta hasn’t acquired coatings able to provide flat transmission graph. The optical system showed significant differences when it comes to the transmittance of particular wavelengths and it caused problems with colour rendition. It’s worth emphasizing, though, that the situation is still better than in the case of Russian devices or even Carl Zeiss Jena binoculars. It doesn’t change the fact, though, that in this category the Meopta lags behind other instruments from this price-quality segment. Next, a noticeable distortion and the blur at the edge which appears too quickly should also be considered as disadvantages. 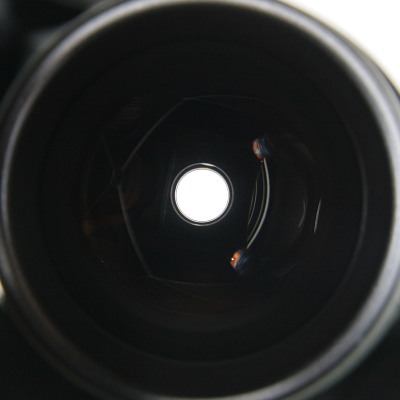 Too small eyecups, on the other hand, don’t have to be a bad point for everyone. In my case, though, the eyepieces “fell” into my eyes – their size was too small so I couldn’t lean them against my eye sockets. 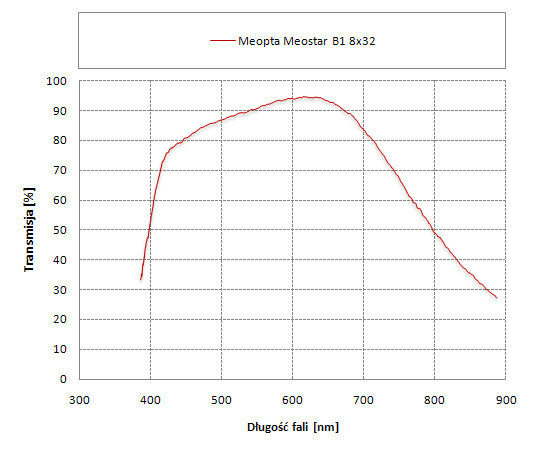 To sum up the Meopta Meostar B1 8x32 seems to be a quite well-done optical instrument but not without flaws. 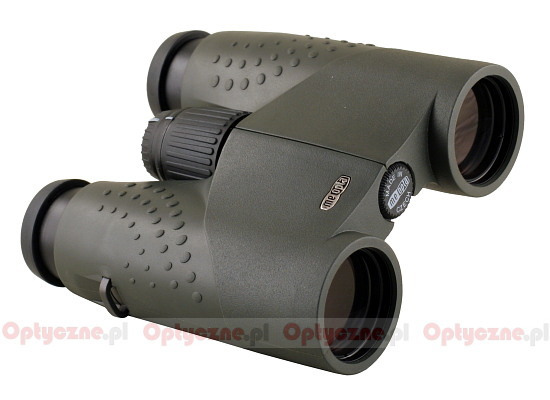 These flaws exactly make it a bit overpriced right now– if you spend almost 600 Euro on a small pair of binoculars you wouldn’t like to have some reason to complain about it.